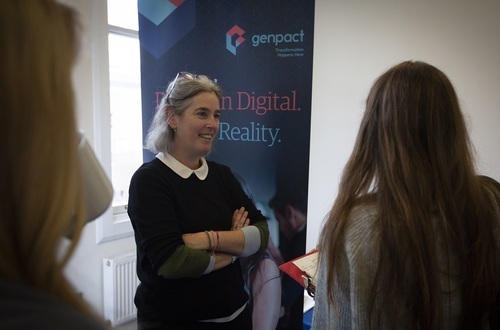 Genpact (NYSE: G) is a global professional services firm focused on delivering digital transformation for our clients, putting digital and data to work to create competitive advantage. We do this by integrating lean principles, design thinking, analytics, and digital technologies with domain and industry expertise to deliver disruptive business outcomes. For two decades we have been generating impact for clients including the Fortune Global 500, employing 78,000+ people in 20+ countries, with key offices in New York City, Palo Alto, London, and Delhi. We welcome talent that will constantly push the boundaries for newer and better ways of doing things. We are looking for bright, curious, creative, incisive minds to partner us on this new journey! Get to know us at Genpact.com and on LinkedIn, Twitter, YouTube, and Facebook.